Tears run silently down Officer Kaila Porter’s cheeks as she stares at the mutilated body of her mentor. Fresh from the Police Academy, Kaila has something to prove and she’s determined to find justice no matter the cost. With no clear motive Kaila begins searching the house and runs into a potential suspect. 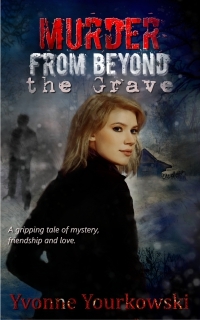 Before he can be questioned his body is discovered deep in the woods and she is back to square one. What is going on? What secret is someone trying to protect? With two bodies and no leads Kaila’s frustration mounts as she begins to dig into her mentor’s past and uncovers a connection to a crime boss that Kaila is compelled to follow–right into trouble.